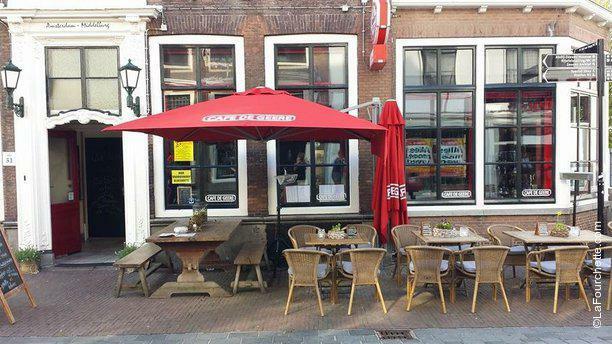 Restaurant Cafe ‘De Geere’ can be found in the heart of the bustling city of Middelburg. On the menu old-fashioned hospitality and traditional cuisine from around the world. Van Zeeland fish soup and Belgian shrimp croquettes to Spanish tapas, appreciated by both Zealanders and tourists. Outside the menu the chef presents additional specialties, a cheap dish of the day and there are also evenings with live music.